The ACLU is urging a Pennsylvania congressman to stop blocking constituents on Facebook, arguing the practice violates their First Amendment rights. 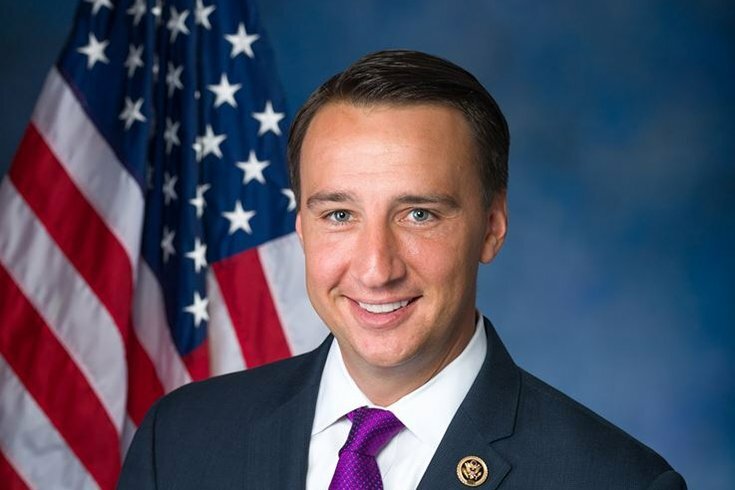 U.S. Rep. Ryan Costello, a Republican from West Chester, Chester County, blocked at least eight constituents who posted comments critical of his positions on health care, net neutrality, taxes and President Donald Trump, according to the ACLU. He also allegedly prevented three constituents – including two whom he blocked on Facebook – from attending town hall meetings, despite space being available. On Monday, the ACLU sent a letter to Costello, asking he immediately unblock everyone from his congressional Facebook page and confirm that he will not prevent constituents from attending town hall meetings. In the five-page letter, ACLU of Pennsylvania legal director Witold J. Walczak informed Costello that suppressing the voices of critical constituents is a form of viewpoint-based censorship that violates the First Amendment. The letter threatened legal action if Costello does not respond by March 19. "Simply put, the First Amendment does not allow you to create a forum – be it digital or physical – for your constituents to express themselves, but then close that forum to constituents based on the opinions they have expressed," Walczak wrote. Costello's office did not immediately respond to a message seeking comment. The letter highlighted the claims of nine constituents, including Claire Witzleben, of Wayne, who regularly protests outside of Costello's West Chester office. On March 31, 2017, Witzleben met with one of Costello's staffers, expressing her concerns about repealing the Affordable Care Act, the according to the ACLU. Witzleben claims Costello then blocked her from posting on his Facebook page and did not permit her to attend a town hall meeting on Jan. 6, 2018 in Wyomissing, Berks County. Costello also allegedly blocked M. Christine Crooke, of Downingtown, Chester County, in a similar fashion. Crooke regularly calls Costello's office stating her opposition to the repeal of the Affordable Care Act, noting her daughter relies on it for health insurance. In January, Crooke posted a Facebook comment criticizing Costello for claiming his opponent – Democrat Chrissy Houlahan – had sent two "associates" trespassing on his property to snap pictures of his home and intimidate his wife. The Inquirer later reported that the individuals were Planned Parenthood canvassers who were advocating against the Republican tax reform bill's effect on health care. Costello blocked Crooke and denied her tickets to a town hall in Downingtown, which ended up being snowed out, according to the ACLU. The ACLU's letter claimed Tammy Harkness, of Hereford Township, Berks County, was denied a ticket to the Wyomissing town hall meeting after she participated in a peaceful sit-in at Costello's West Chester office in December. Harkness regularly attends protests outside of Costello's Wyomissing office and has criticized his views on the tax reform bill passed last year by Congressional Republicans, according to the ACLU. She also attended a town hall in West Chester last April. Additionally, Costello allegedly blocked constituents who criticized his stances on net neutrality and questioned campaign contributions given by a broadband cable provider. He also allegedly blocked constituents who rejected his support of Trump and urged him to condemn racist rhetoric. "Our clients simply want to be heard by their elected representative in Congress and to have the same access to the congressman's social media pages and events as his other constituents," ACLU of Pennsylvania attorney Molly Tack-Hooper said in a statement. "It's unconstitutional for a member of Congress to censor, block and exclude his critics."